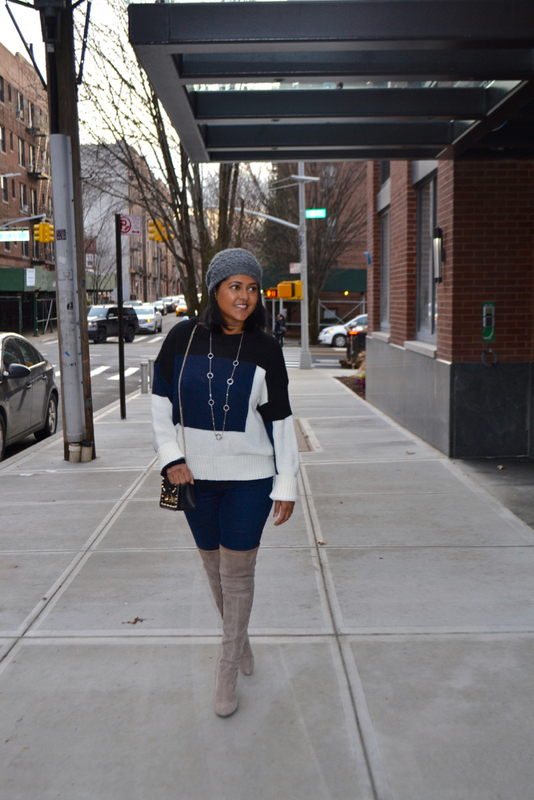 I love soft, cozy sweaters and they are main go to during the winter months. They are easy to wear and style with jeans. I received this sweater from Romwe.com, an online shopping site that sells women's clothing at very affordable prices. Many times, when the prices are so good, you will worry about how good the quality will actually be but fortunately, I am pleasantly surprised. 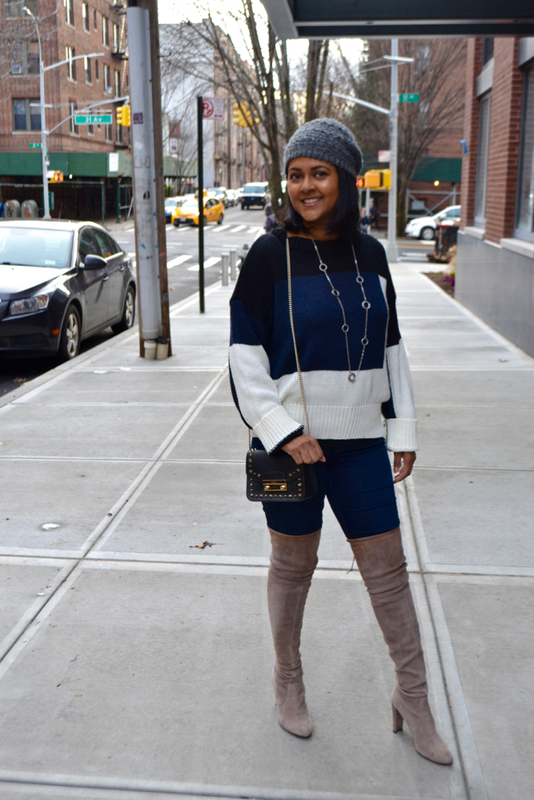 I chose this color block sweater since it was a loose fitting piece. I really like to be comfortable and was looking forward to receiving and styling this piece. I received the shipment within 10 days which is great for an international package. I really didn't expect to receive it so quickly. The sweater is quite thick with sturdy stitching. It has a loose fit and fits comfortably over a pair of jeans. It looks exactly as it was shown on the website. This is a sweater that I see myself wearing constantly this winter season. I am very happy with this item and would recommend this site for trendy pieces at amazing prices. 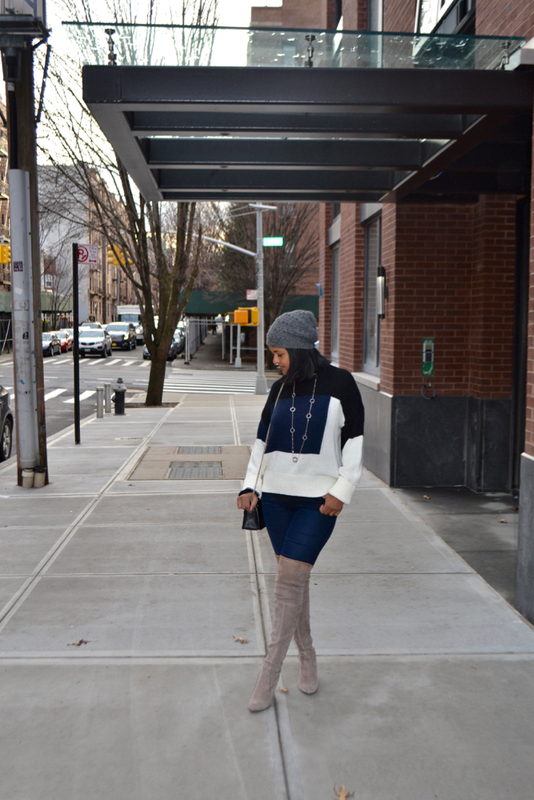 For a walk around the neighborhood with my family, I paired this sweater with jeans and my over the knee boots. In addition, I wore this crocheted hat I made a few years ago. This sweater is comfortable and also is complimentary for my postpartum body. The color block look is always on trend and the colors are those that can easily go with other colored pants or jeans.